I would like to convince you that I am recycling my old lamps by stashing them in the basement because they might get used again in some distant future. But you would know that’s a bunch of bull. FRED, on the other hand, can make a much stronger case for its environment-friendly intentions. 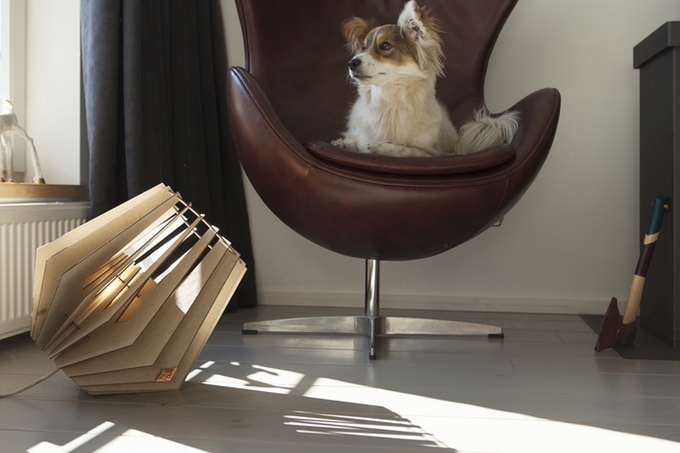 FRED is a stylish lamp that is trying to live up to its name, which is short for Fully Recyclable Ecological Design. FRED is the center of a Kickstarter campaign in which Van Tjalle en Jasper, a Dutch furniture and design company, is trying to raise funds to turn FRED into a completely recyclable and biodegradable product. The plan is to make FRED’s body parts out of ECOR, a sheet material made by compressing cellulose fibers (wood, paper, grasses, etc.) together under pressure to form a super strong board while avoiding chemicals, petroleum or toxic additives. Backers who contribute 30 Euros, about $ , will be in line top get one of the first lamps when the new FEED ships in about a year. The lamps will come in a do-it-yourself assembly kit that includes a cable, switch, lamp holder and a US, UK or European plug. For more of FRED’s story, check this Kickstarter page.